Po Po's Ponchos are high quality non pilling fleece, cotton & rain ponchos for kids ages 0-6. Snaps at arms area to create 'make shift sleeves'. Made in Vancouver, BC. On Thursday, November 20, 2008, a canadian trademark registration was filed for the above pictured logo by Karen Stark 3034 Graveley St., Vancouver, BRITISH COLUMBIA, CANADA V5K3K4. The Canadian IP office has given the trademark application number of 1419007. The current status of this trademark filing is Interruption of proceeding. The trademark is filed in the description of Po Po's Ponchos are high quality non pilling fleece, cotton & rain ponchos for kids ages 0-6. Snaps at arms area to create 'make shift sleeves'. 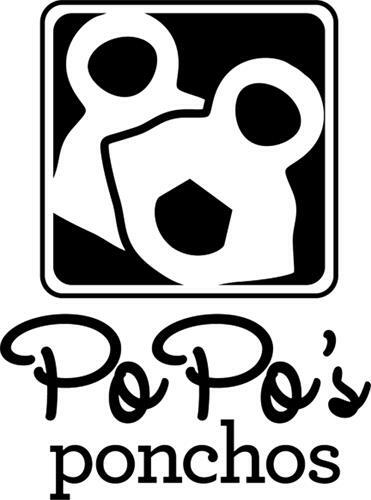 Made in Vancouver, BC. .
(1) - Po Po's Ponchos are high quality non pilling fleece, cotton & rain ponchos for kids ages 0-6. Snaps at arms area to create 'make shift sleeves'. Made in Vancouver, BC.